The Chinese Crested dog is a small hypoallergenic dog breed best suited to owners who love to stay at home. Although it has an athletic body, the Chinese Crested dog wants nothing more than to lay. And lay. And lay. It is a dog completely at ease with doing nothing all day. Fun fact: although its called a Chinese Crested dog, this breed is not actually from China. It’s called the Chinese Crested because the Chinese bred the current version down from hairless dogs which originated in either Africa or Mexico – no one is certain which. Although they don’t have the fuzzy, cuddly appearance of the classic lapdog, the Chinese Crested dog is most certainly in the same vein. Originally bred as a companion animal to invalids, this breed is all about people and is perfectly content to spend the entire day in bed if that’s what’s on its family’s agenda. Originally bred as a companion animal to invalids, the Chinese Crested small hypoallergenic dog is a 100% lapdog. It bonds quickly and intensely with its family and becomes obsessed with them to a quite impressive level. These dogs are alert and happy in addition to adoring of their family. Although not a particularly yappy breed, they do take the safety of their family seriously and will bark at any intruders. Although the Chinese Crested dog is completely loving and adoring of its family, it can be distrustful of strangers, and may bite if it feels threatened. For this reason, early and thorough socialization is a must to ensure that your little guy or girl doesn’t bit first and ask questions later. The Chinese Crested dog is a generally healthy breed not prone to anything that could be classified as life threatening. The following issues are the ones found most often in the Chinese Crested dog, but not every dog will get any of these. Dental Problems: Dental problems are fairly common in this and all hairless breeds. This is because of a genetic link between dominant hairlessness and missing teeth. Some dogs of this breed may lose teeth by age two or require soft food, while others have no problems whatsoever. Progressive Retinal Atrophy: PRA is a gradual deterioration of the retina. Legg-Calve-Perthes Disease: A disease in which the blood supply is reduced to the head of the femur, resulting in disintegration of the bone. Most times, surgery can correct the condition. Keratoconjunctivitis Sicca: Dry eye, as it’s commonly called, is exactly what it sounds like: dry eye. This can be easily treated with drops to keep the eye lubricated, and in some cases, medicated. Although the Chinese Crested dog looks super athletic, this is a breed that was tailor made to lay around all day. This breed is not a jogging companion, and it isn’t overly interested in fetch. Rather, this breed is best suited for lots of cuddles and mental stimulation. Training using treats and dog puzzles and toys are key to this breed’s happiness. The Chinese Crested small hypoallergenic dog is a great family companion if you have the patience to handle it. This breed is a lovingly, loyal family companion, however it requires intense socialization and patience. If you have the time and patience to keep your Chinese Crested dog from becoming a distrustful biting machine, you’ll have a wonderful companion. 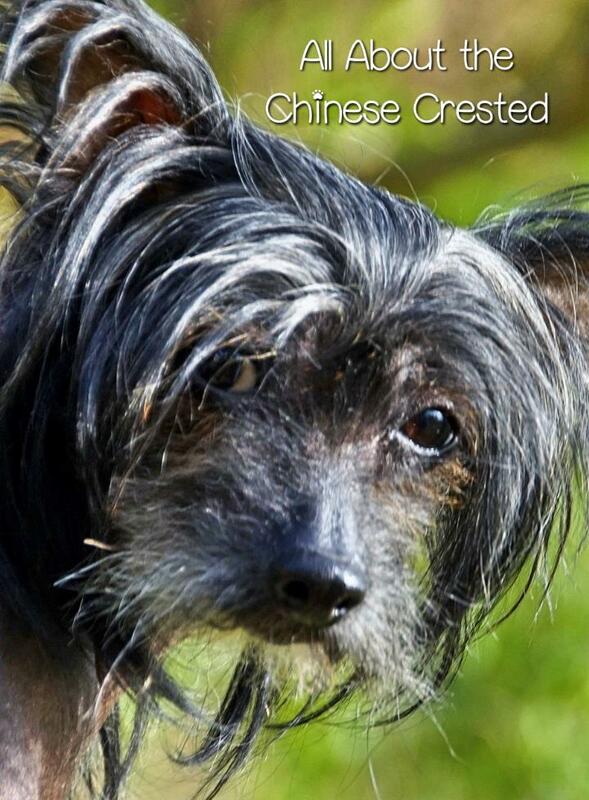 Do you have a Chinese Crested? What are your thoughts on this unique small hypoallergenic dog?